Rob talks March Madness, the Nuggets are in, a first for the CC Tigers and Broncos free agency moves. Rob gives his thoughts on Super Bowl LIII, talks with CC Hockey Coach Mike Haviland and more. Rob looks at the new coaching staff of the Broncos, previews Championship Sunday, talks with David Ramsey from the Gazette and more. Rob gives his thoughts on the rest of the Broncos season, talks with Chris Phillips, GM and president of the Rocky Mountain Vibes and more. Rob talks about the Bronco's first half of the season, the Nuggets and Avs' great starts and also about C.C. and Air Force hockey. Rob talks about the Broncos, the end of Rocktober, and with Coach Mike Haviland about the 2018-2019 Colorado College Hockey season. Rob talks with Paul Klee with the Colorado Springs Gazette about the Rockies run to Rocktober, the NFL roughing the passer rule, Tiger Woods' comeback, the Nuggets upcoming season and Broncos football. Rob talks with Troy Renck Broncos insider from the Denver Channel about the Broncos and Rockies. Rob talks a little CU football with Brian Howell of the Boulder Daily Camera and with KRDO weekend sports anchor Nick Rothschild about Broncos and high school football. Rob talks about the Broncos before their last pre-season game, with Thomas Harding from MLB.com about the Rockies, and with Brent Briggeman from Gazette about Air Force football. Rob talks about the Broncos now that training camp is over and about his "Shot For Grace" fundraiser. 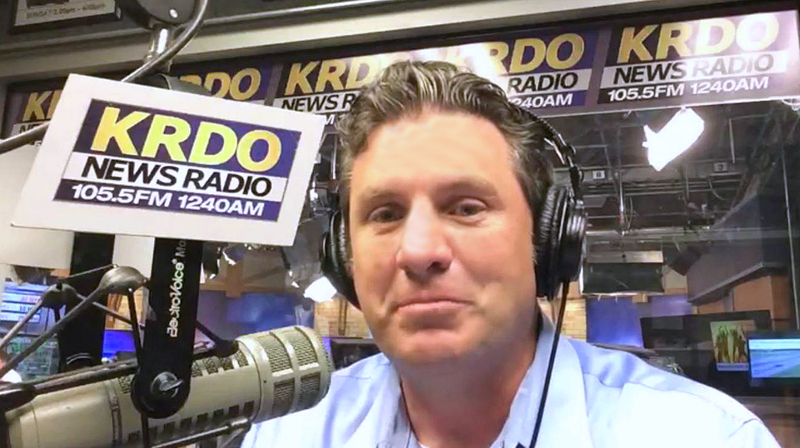 In this Nam & Eggs Podcast, Rob talks with Paul Klee of the Colorado Springs Gazette about the Denver Nuggets first round draft pick and the upcoming U.S. Senior Open Golf Tournament at the Broadmoor.